Daily lenses directly to your door. We at Hubble believe everyone should have access to daily disposable lenses for an affordable price. At Hubble we're here to work with our optometrist partners to make contact lenses affordable, convenient, and accessible for everyone. We hope you'll join us! 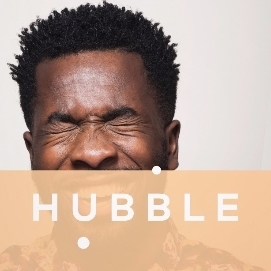 Lens wearers who sign up for Hubble will automatically have lenses delivered to their door every month, and they'll get a reminder when it's time to go back to the optometrist. Hubble lenses are daily disposables designed for comfortable all-day wear. We want you to see everything without feeling anything. We know that we’re part of a broader eye health community, so we’ve pioneered a new way to partner with doctors to be able to provide affordable lenses to you.